We were compiling a list of ideal pre-loved Rolex watches for the first-time Rolex buyer. So if you are new to the world of Rolex watches, read carefully and perhaps even take a few notes. The Rolex Datejust is the Rolex watch that does everything and can go with you wherever you may travel. This is the type of watch you can wear with your best Armani suit when attending a high-brow function with a classy lady or when you are bumming around town with your buds in your jeans and t-shirt. The Rolex Datejust defines versatility. In addition, the Datejust represents classic Rolex design. Though it has been updated on numerous occasions since its inception in 1945, the Datejust remains constantly recognizable. 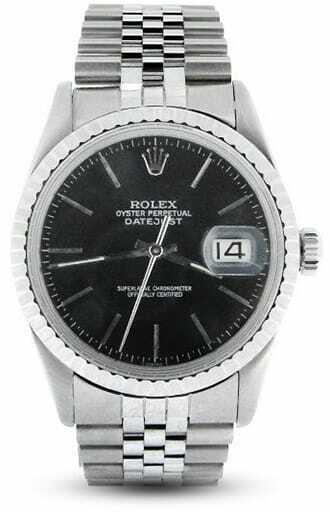 So whether you choose a Datejust from the mid-1970’s or a newer model, it will be a timepiece that makes a daring statement and looks simply fantastic in your wrist. Without a doubt, the Rolex Submariner is the most recognized watch in the world and remains the timepiece chosen by most divers as precision timekeeping is critical under water. The modern version of the Submariner offers a case that is water resistant to 300 meters and the blue Chromalight display assures excellent visibility, regardless the conditions. Divers and watch enthusiasts alike admire the new Oyster bracelet fitted with the Glidelock system as it allows fine adjustment of the length. The Milgauss was introduced in the mid-1950’s for technicians and engineers who were exposed to strong magnetic fields in their line of work. It is well known that magnetic fields can negatively affect the performance of a watch. Today, there are many sources of magnetic fields that can cause a watch to malfunction. In our modern era, we are literally surrounded by magnets. From purse clasps to computers, we encounter magnets every day. There are also several industries where magnetic fields are present. So is you work at a telecommunications company, aerospace company or medical technology company, you may want to look into purchasing a Milgauss. So there you have it, a few great Rolex watch choices.